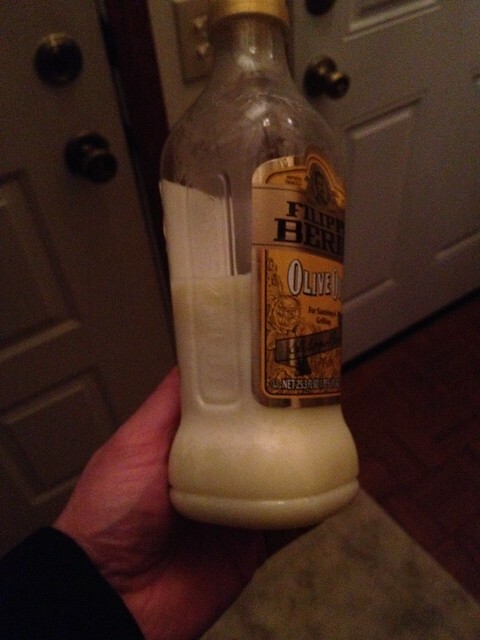 That's sort of how I feel when I learned that frozen olive oil looks like a bottle full of lard. Makes sense when you think about it. It's not much different than margarine. I forgot it out by the grill overnight after making pork chops, and it's not so warm in Minnesota yet that you can get away leaving things out.